Unfortunately, as with many of my reads lately, this one didn’t particularly meet my expectations. I found it to be rather long and boring with many undeveloped characters. I felt like the four main characters of this book just weren’t developed enough. They were all stuck-up in their own ways, but that is a trait I can assign to all of them. They just weren’t memorable, and they had no traits that helped me distinguish them from each other. If I hadn’t been writing this review right now, I doubt I’d even be able to remember their names. This book’s plot was also not very up to par. A whole lot of nothingness happened for the first 80% of the book, which surprises me because there is supposed to be such a big mystery aspect to it. By the time the plot *finally* sped up by the end, it was kind of too late for me to be excited since I had already been sitting through over 300 pages of boringness! 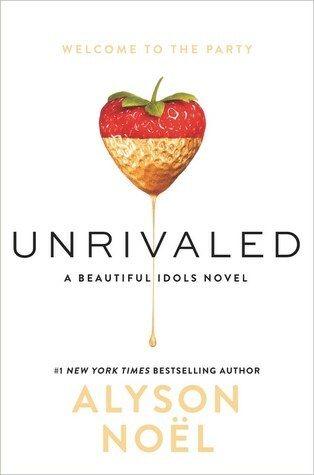 If you’re curious about how teen models really live their lives, then Unrivaled is the book for you. It paints a great picture of what they actually go through every single day, but just don’t expect the characters and the slow-moving plot to wow you.